Are you feeling stressed? Or worried and nervous? Are you looking for a herbal way to support a healthy mood that’s supported by research? If so, Remotiv may be right for you. 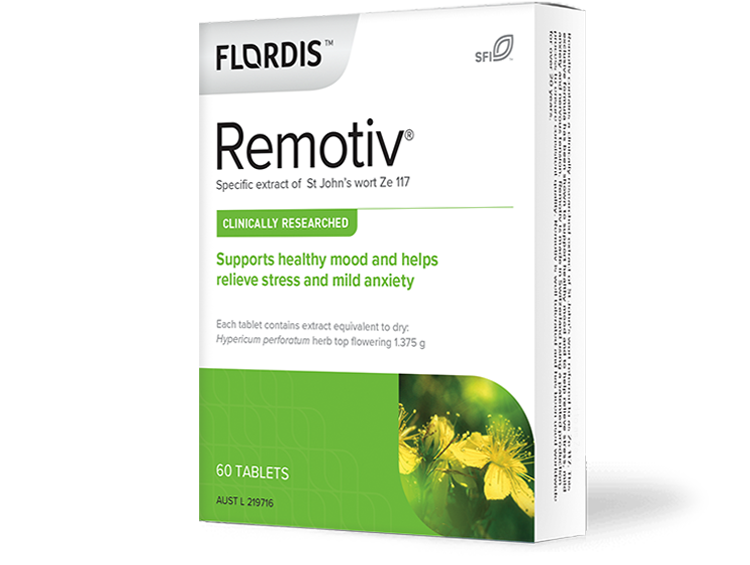 Pre-clinical studies suggest that Remotiv may work indirectly on chemicals in the brain such as serotonin, dopamine and noradrenaline that can be linked with stress, tension and mild anxiety. This medicine may not be right for you. Read the warnings before purchase. These can be found in the dosage section below. If symptoms persist or change unexpectedly talk to your health professional. 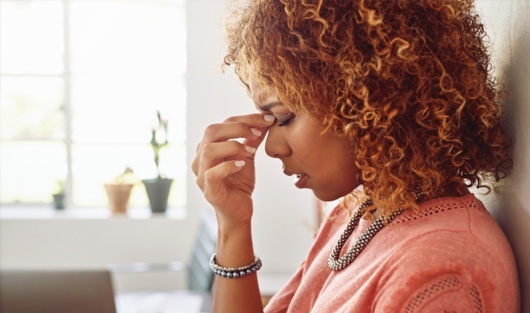 Food for thought: Did you know that 72% of Australians feel stress has at least some impact on their health? Find out more about how Remotiv can help to relieve stress and mild anxiety. Adults: Take 1 tablet morning and evening or as directed by your health professional. Relief of symptoms can be expected within 4 weeks. Remotiv offers symptomatic relief and should be continued as needed. You should review this with your healthcare professional at least every 6 weeks. St John's wort affects the way many prescription medications work, including the oral contraceptive pill. Consult your health professional. Please review the FAQ “Is Remotiv likely to interact with other medications?” for more information. Always read the label. Contains lactose. Follow the directions for use. If symptoms persist, worsen or change unexpectedly, talk to your health professional. Hypericum perforatum, herb top flowering 1.375 g which is equal to 250 mg of Ze 117. Remotiv is a natural medicine that has been clinically researched to help relieve stress, mild anxiety and support a healthy mood. In Remotiv, a specific extract of Hypericum perforatum (St. John’s wort), known as Ze 117, is used to help deliver a consistently high quality medicine that is the same medicine shown in clinical trials to provide mood support. Natural medicines can vary considerably depending on the species of plant chosen, the way it is grown and harvested, the extraction and the production processes. So it’s essential to ensure the product you’re getting is the same as that tested in clinical research to help relieve stress and mild anxiety. Is Remotiv suitable for long-term use? Remotiv offers symptomatic relief and should be continued as needed. You should review this with your healthcare professional at least every 6 weeks. If you have specific questions about how long to take Remotiv, it is important that you talk to you healthcare professional. Is Remotiv likely to interact with any medications? Hypericum perforatum (St. John’s wort) affects the way in which many medications work, including the oral contraceptive pill. It has been associated with the way certain medications are broken down and therefore could affect the action of these medications. It is recommended that you talk to your healthcare professional if you are taking or plan to take any other medicines, including any that you get without a prescription. For more information please contact us directly. How long does Remotiv take to work? Relief of symptoms can be expected within 4 weeks of use. Remotiv offers symptomatic relief and should be continued as needed. You should review this with your healthcare professional at least every 6 weeks. Will Remotiv affect my ability to drive and use machinery? Remotiv has no known adverse effects on the ability to drive and use machinery. Should Remotiv be stopped before surgery? It is recommended to talk to your healthcare professional, including your anaesthetist and surgeon, if you are going to have surgery. Remotiv should be stopped at least 5 days before surgery and restarted when your healthcare professional tells you. Can Remotiv be used in pregnancy and breastfeeding? Remotiv is not recommended for use during pregnancy or while breastfeeding. Your healthcare professional can discuss with you the risks and benefits involved in taking Remotiv during these life stages. Where can I find Remotiv? Remotiv is available from natural health practitioners, pharmacies and selected health food stores. If you go to the Where to buy button above and follow the instructions, you will be able to find a list of practitioners and pharmacies in your area that either stock Remotiv or will know how to order Remotiv. Even if your local pharmacy is not on the list, they will be able to order it in for you. Brattström et al. J Phymed. 2009; 16:277-283. Remotiv® is a registered trademark of Max Zeller Söhne AG. Hypericum perforatum has been used for the relief of mild anxiety, stress and nervous tension for centuries. Learn about the research behind the specific extract Ze 117.